Cuela con un trapito de lino o con un filtro de hacer cafe. Escurre to la leche y guarda la harina de almendras para hacer galletas o pancakes. 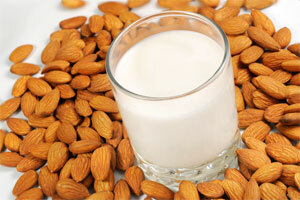 Rinse your almonds and blend everything for 5 minutes. Try the flavour and if you need a bit of sweetness add 1 date or 2 drops of stevia, blend again. You can keep in the fridge for 4 days. Benefits: Good source of Vitamin E, Calcium and Magnesium.